I am a Midwestern girl living in Minnie by way of the East coast and a couple of other stops along the way. Blogging has been an outlet for me since I moved to Minnie in 2005. At first it was a way for me to keep up with friends on the east coast and other parts, but more and more it has grown as a way for me to journal and get my thoughts out. I live in a suburb of the Twin Cities, Wayzata, with the boy and our little Stella cat. I met the boy on Match.com in April of 2006 and we moved in together in August 2010. We love entertaining, our families. friends and exploring all life has to offer! The thing I love about life, is you never know what it is going to hand you next. I love making lists, setting goals and keeping us organized. I am always looking for a new recipe to try, pinning a new tablescape to a board for a dinner party, planning our next soiree - trying to ensure that it is better than the last and figuring out the menu for a holiday meal with family. We are well on our way through many projects at home with only two rooms left to paint and design! This has been quite an undertaking and it has really taken us a while to truly figure out how we live in our home. Each room that we complete, we become more comfortable and confident in the decisions we make. We are so lucky that the boy is so handy and such a proficient painter, we have been able to do the majority of the work ourselves. The last two rooms are of course probably going to be the most difficult and will require the most amount of work, but I can't wait to see the end result. I am a huge fan of before and afters! I love all things Lilly Pulitzer and I am a true 80's preppy at heart. 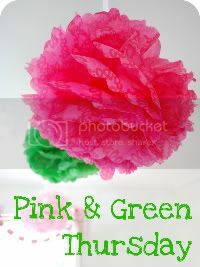 Anything pink or green tends to put a smile on my face. I love Ralph Lauren, Tori Burch, J Crew, LL Bean, Lands End with a little Banana Republic thrown in. But I am practical too, so make sure that Old Navy and Target Boutique are on the list as well. I am not a jeans girl but prefer a skirt or dress to a pair of jeans. Accessorizing is part of being pulled together for me, so it isn't very often that I walk out the door without a necklace, earrings or bracelet. I consider myself to have more of a classic style at home and when walking out the door, but give me a little color and that is what really puts a smile on my face. We would love to travel more than we do, but we have a great list going of places we would like to visit. Most of our adventures at this time revolve around trying out new restaurants with friends, taking a cooking class here and there and getting up to one of the many 10.000 lakes with family and friends. We also love trying new wines and getting out to some of the local vineyards. I started a wine club in June 2006. The group has grown and grown over the years and while I have enjoyed it, and the majority of our friends we met through the wine group, we have been on hiatus since January 2013. We may bring it back, but for now we are focused on house projects, friends and family. We still have wine events, don't get me wrong, its just that they are invitation only with friends.